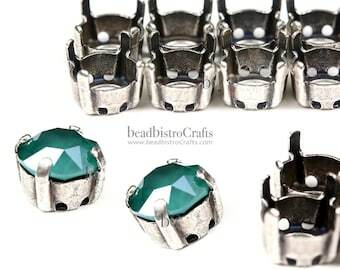 These pointed-backed 4228 Navette crystal stones are set into 2-hole metal settings called Sliders. 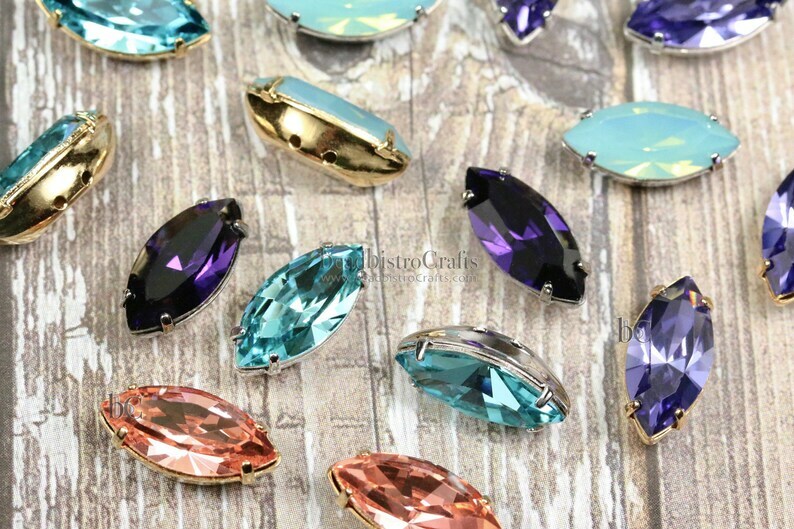 Crystal Sliders have 2 parallel holes coming out through each side of the setting and a solid metal backing. 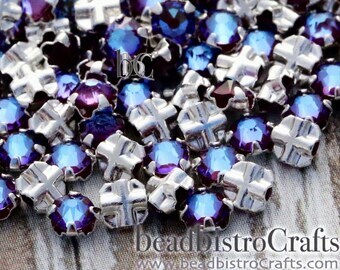 This makes them ideal components to use along with 2-hole Czech glass beads and seed beads. 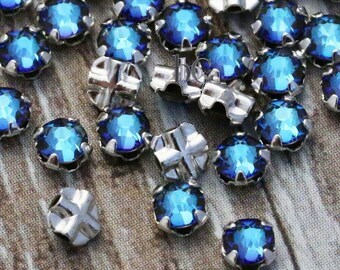 You can easily sew them onto a fabric piece or use these very stunning crystals in a jewelry project, a costume, in fabric art pieces, bead embroidery designs or in a variety of mixed media projects. ~ Please NOTE: Rose Peach is only available in the Gold setting & Purple Velvet is only available in the GunMetal setting at this time.